We provide a wide range of services for the commercial sector, including; LOLER Inspections and the servicing and installation of static moving floor, bay lifts, LGV/HGV tail lifts and shutter doors. 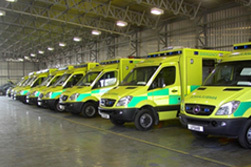 We work with local authorities, private users and NHS ambulance trusts to service, maintain and install their tail lifts. We recognise how important a fast response is to any potential breakdown and that customer confidence is required with any repairs carried out to their ambulance tail lifts. Our team of highly skilled engineers have many years experience of installation, maintenance and fault finding of all makes of commercial HGV and LGV tail lifts and moving decks. 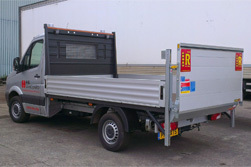 Our modern fully equipped workshop carries out all major repairs and tail lift installations. We also perform routine and general maintenance at our customers premises. 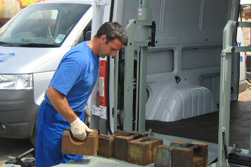 Tail lift and shutter breakdowns are unfortunately a fact of life, and this is where we can assist. We have been operating a 24 Hour 365 days a year Breakdown Service for all our customers for over 14 years. Our aim is to provide a first class service to the tail lift and shutter door operator whether you are a private mobility tail lift user or a national fleet tail lift operator. 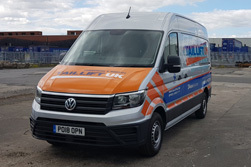 We offer a complete tail lift and shutter door breakdown and maintenance service carried out by our fully trained, clean and reliable mobile engineers. Tail Lift UK Ltd. is also a quality assured ISO 9001 accredited company here to look after your everyday needs.